Baby Names will be an invaluable resource in your family for one of the most cherished decisions youll ever make as a parent! Nick Harrison is the author of several books, including Magnificent Prayer, Promises to Keep, and 365 WWJD. He and his wife, Beverley, have three grown daughters and four grandchildren. They live in Eugene, Oregon. Steve Miller is the author of One-Minute Promises and One-Minute Praises. 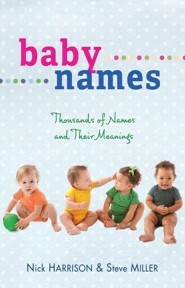 He and his wife, Becky, coauthored A Childs Garden of Prayer. They reside in Oregons Willamette Valley and have three sons. 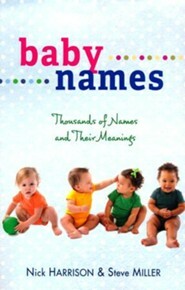 I'm the author/artist and I want to review Baby Names: Thousands of Names and Their Meanings - eBook.